CNCjs is a piece of Software developed in Node.js which enables you to send GCode from a Computer to an attached CNC Router. Within the CoMakingSpace, we have tried several G-Code Senders for their usability and finally decided for CNCjs. Unfortunately, CNCjs did not provide all needed features out of the box. Luckily, it is open source, so we created our own fork of it with a small enhancement. This enhancement was needed in order to solve Issue 57. The code can be found on GitHub as well. This fork is installed on the Raspberry Pi in the CNC Room. It listens on port 8080 on the host comakingcnc (so use  to access it). In order to enable the control of our CNC-Router without the need of using a Computer, we created a panel, which is basically a HAT for the Raspberry Pi. From a Software perspective, you can find the code on GitHub. If you are interested in the process of creating the panel, please take a look at Issue 67. It basically uses socket.io to connect to CNCjs running on the same host. When the user presses a button, it sends the needed GCode to CNCjs, which then sends it to the Router. The core functionality of CNCjs is to send GCode to machines which accept the same. You can find a detailed description over on their wiki. In order to do so, it provides a webinterface. 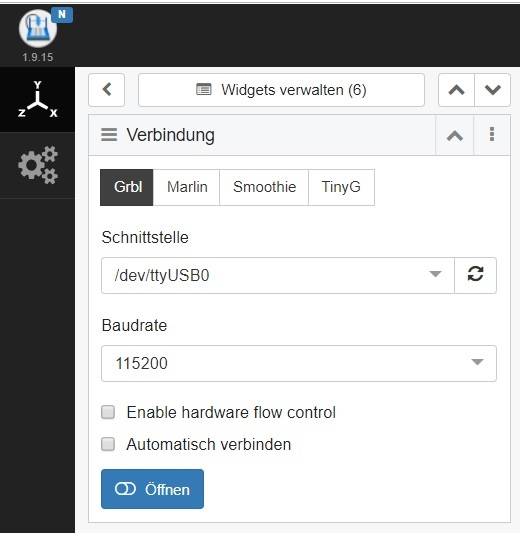 In this webinterface, you can directly control the router, see the picture of the attached camera or upload GCode files for sending them to the Router. In general, please open  in your browser in order to access CNCjs. 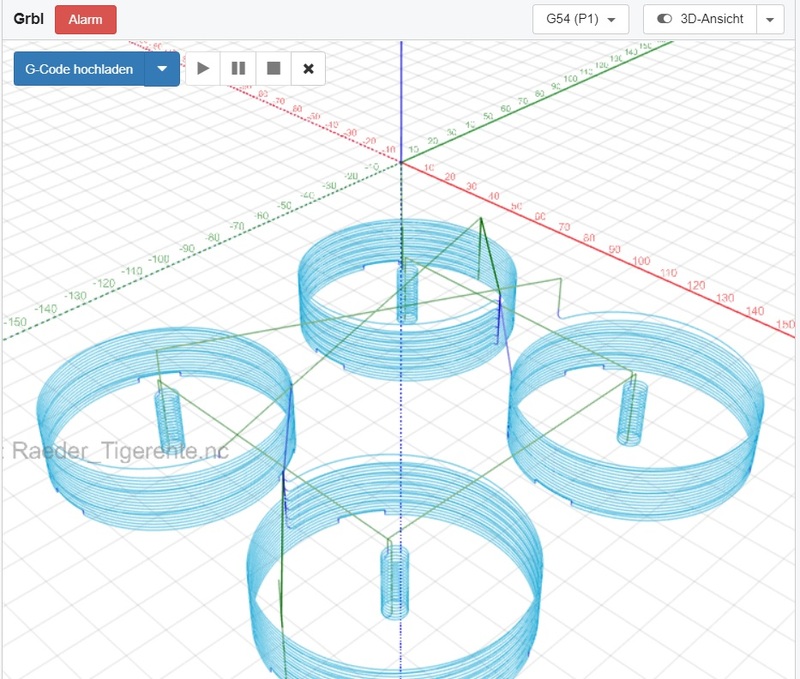 Now, you can upload your GCode on the top left corner. CNCjs will display a preview of your job in the middle section. With this, you can do a rough check that your file is correct. This page was last edited on 3 April 2019, at 19:39.